The installation Rhythms of Presence is comprised of two large floor surfaces. One is discretely installed at an undisclosed location and the other in the exhibition space. They are identical in size and shape. The floor surface at the undisclosed location is sensing human steps, transmitting their temporal and spatial information to the exhibition space, where a grid of mechanical knockers from below the floor surface is invisibly tapping the rhythms of the remotely detected steps and following their paths. Focusing solely on rhythms and paths of everyday walking, the installation Rhythms of Presence aims to capture the invisible aspects of walking and investigate how they contribute to constituting presence, temporality and spatiality. Displacing and superimposing the walking rhythms and paths of one place to those of another, the installation creates a hybrid and asymmetrical space where two simultaneous present times and presences interfere. 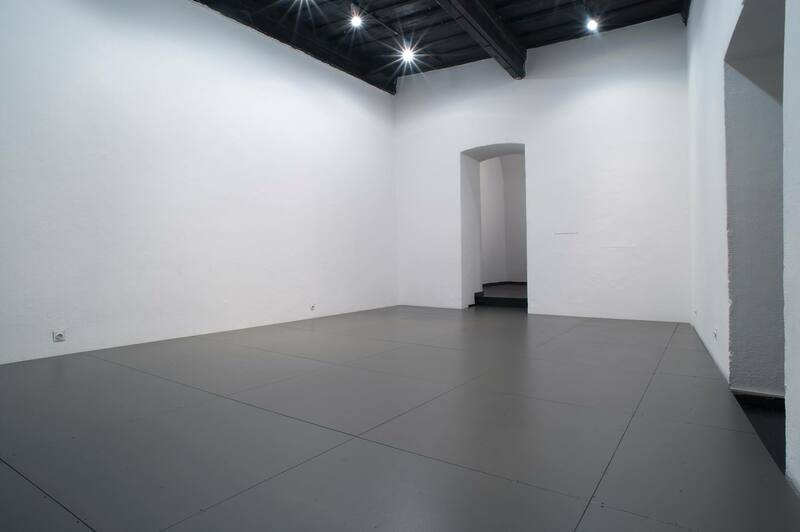 A floor that becomes unknowingly performative and a floor that echoes steps from an unknown origin together form an open unsitely space that is both here, somewhere else and at the same instance nowhere and in-between. Stepping in this space one inhabits a concrete, yet un-mappable and disoriented territory. This installation is a part of artistic research project Rhythms Of Presence.